Waiting On Wednesday is a weekly meme that’s hosted over at Breaking the Spine. The idea is to share books that are soon to be releasing and that you’re excited about! Each Wednesday I’ll be sharing with you the books that I can’t wait to release! This week I’ll be talking about SORCERY OF THORNS! I got an ARC last week and I’m super excited to start it soon! I’m still going to feature it on Waiting on Wednesday today though. From the New York Times bestselling author of An Enchantment of Ravens comes an imaginative fantasy about an apprentice at a magical library who must battle a powerful sorcerer to save her kingdom. 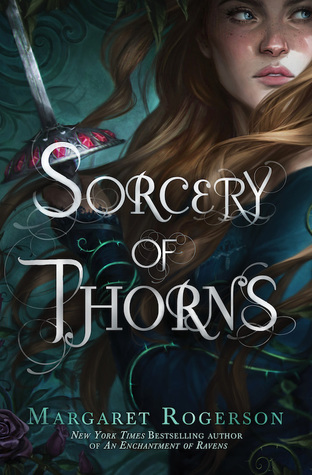 Is Sorcery of Thorns on your TBR? aaaagh, you’re so lucky! I really want to read this one, I love the magical library setting! This sounds really good! Onto my TBR it goes! It’s so so good so far! Really hope you enjoy it! do you know the release date? I havent read her first book yet. Might check if the bookstore has it. Sorcery of Thorns so far is really good. I’m really enjoying it. Was it too slow for some people? Because I personally love the pacing. She takes her time revealing things but it isnt boring.